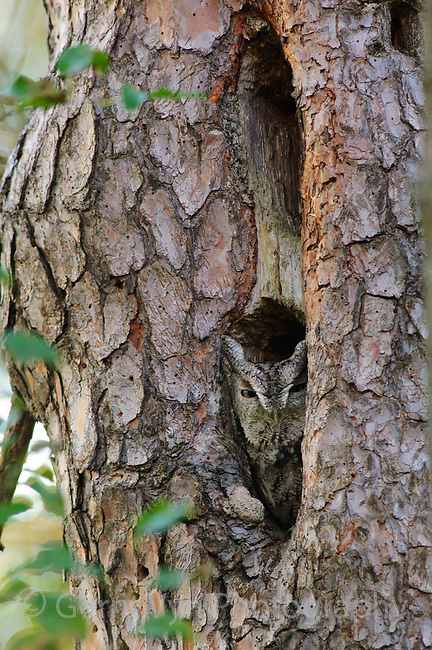 Adult, gray morph Eastern Screech-Owl (Megascops asio) roosting in a Pileated Woodpecker excavation in a Red Pine. Tompkins County, New York. October.